Meet Kristina, a 12th grade IB math teacher in Massachusetts. She has some amazingly innovative ways to keep to the “ask three before me” rule (hint: knitting), strategies to look beyond frustrating days, and the best kind of lunch if you’re a subway commuter. 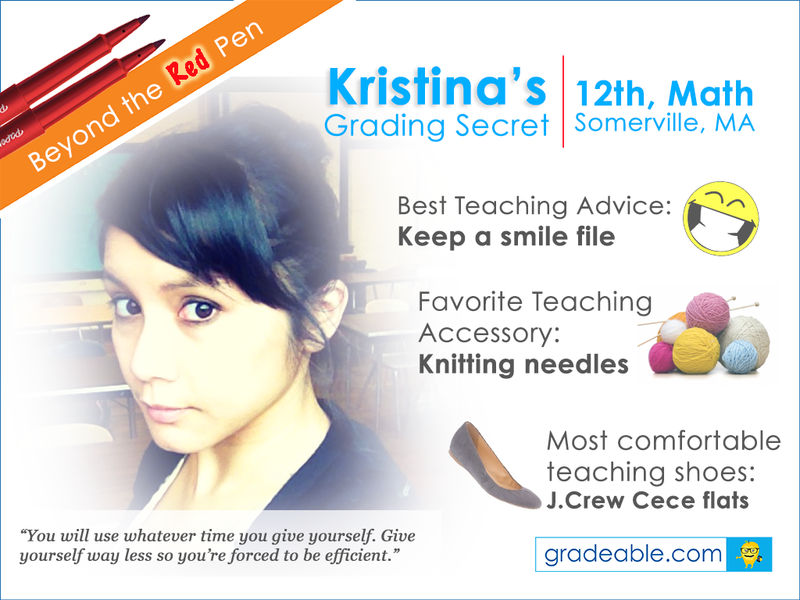 There are so many valuable teaching gems to choose from, read on to find out Kristina’s grading secret! 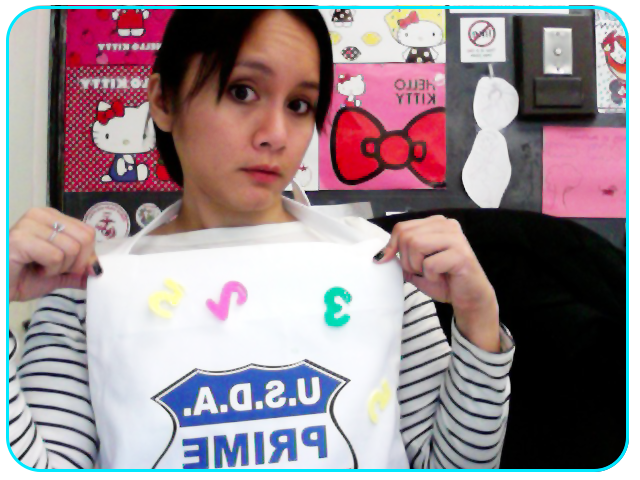 I live in Somerville and teach in Boston at Josiah Quincy Upper School (JQUS), an International Baccalaureate (IB) World School. I teach 12th grade IB Math Studies. One of our school’s unique quirks is our teacher-leader structure–I also serve as 11th/12th grade team leader and as IB Coordinator. Both these positions have responsibilities similar to that of an assistant principal or director of instruction. I have a reduced class load, but the leadership responsibilities necessitate that I grade effectively so that I still teach well. Oddly enough, it’s my knitting needles and whatever project I’m currently working on. During independent or group work, I carry the knitting around with me and knit while answering questions or checking in on students. I’ve found that the knitting keeps me from giving too much feedback and reminds them to “ask three before me.” I also like showing them that adults can learn too. Knitting is a new endeavor for me, and I have progressed from washcloth to scarf. The best teacher lunches are like the best teacher shoes–rugged with flair. I pack my lunch, drinks, and snacks in a Whole Foods insulated bag (only $2.99! ), Snapware tupperware, and mason jars with Cuppow lids. This gear protects all my food from the commute on the T. I also like to pack things that only require a quick reheat (green curry with tofu, white bean chili, quinoa salad) plus a surplus of grapefruit or clementines. 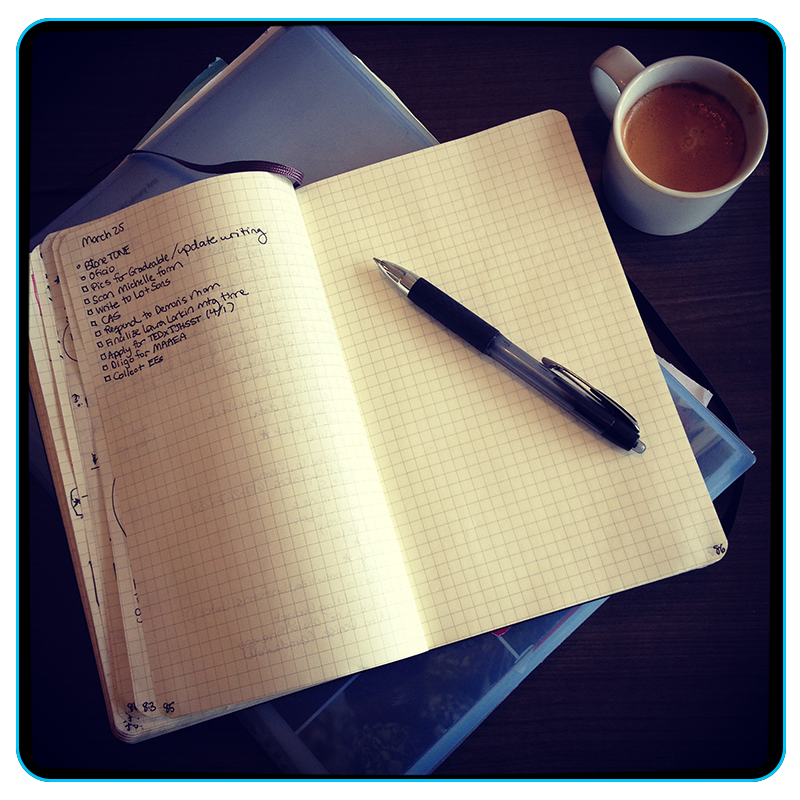 Kristina keeps track of her tasks in a Moleskin journal and her papers in a grading folder. I like to just knock it out during the planning period I have right after my last math class. If I can’t do that, I will save it for right after school. For projects and unit tests, I like to grade on weekend mornings after having had some time to sleep in. I love the Sakura micron pens in blue, pink, or green. I also like Marvy Uchida pens in any color. I definitely don’t like to grade in red! If at home, I like to grade with a jazz Spotify playlist, NPR podcast, and a Sydney Hale candle burning nearby. If in a coffee shop, I like to put in my headphones with a loud playlist of Pure Barre music. You will use whatever time you give yourself. Don’t give yourself five hours, because then you’ll unintentionally putter and fill up that time. Give yourself way less so you’re forced to be efficient. Doing more with less. I realized that this year’s classes need more confidence-building and concentration on the basics. Last year’s classes thrived on challenges, group competition, and complex problems. After a recent crochet class, I experienced the feelings of cluelessness and not wanting to ask the teacher for help when I had no idea how to fix my mistakes or even to understand the written directions. The next day I scrapped the complex problems that I’d originally thought would entice the class in favor of some work with mini whiteboards. I broke down a probability skill into smaller problems and had the students solve on the mini whiteboards. This helped keep them in a safe space where everyone had an idea of where to start, fellow students to rely on at their tables, and an idea of where the smaller problems fit in a larger context. Look for the sunshine between the rainstorms and keep a smile file. It’s easy to get bogged down in a bad day or in that long stretch between February and April break, but keep thinking big picture about the gains that you and your students are making. The smile file is great for looking at during the tough moments. I recently came across an essay a student wrote about me for a scholarship essay, and I started crying with happiness (after I’d already cried out of frustration that day). I used to make the rookie mistake of trying to appear taller and more powerful by wearing high, pointy heels. That just made me look like a limping, cranky crone. In the summer, I love to wear J. Crew Cece flats. I’ve learned that short and comfortable makes for a more powerful persona. In the winter, I wear low-heeled waterproof Teva riding boots. When I coach my school running club, I wear Saucony Kinvara 4s. Blokus (a replacement game). My students last year loved that game so much that they put it through more games than are played in a given March Madness tournament, and it’s now missing a bunch of pieces. I love that I got to sneak some strategic thinking about maximizing volume with a given perimeter into their class as a reward.